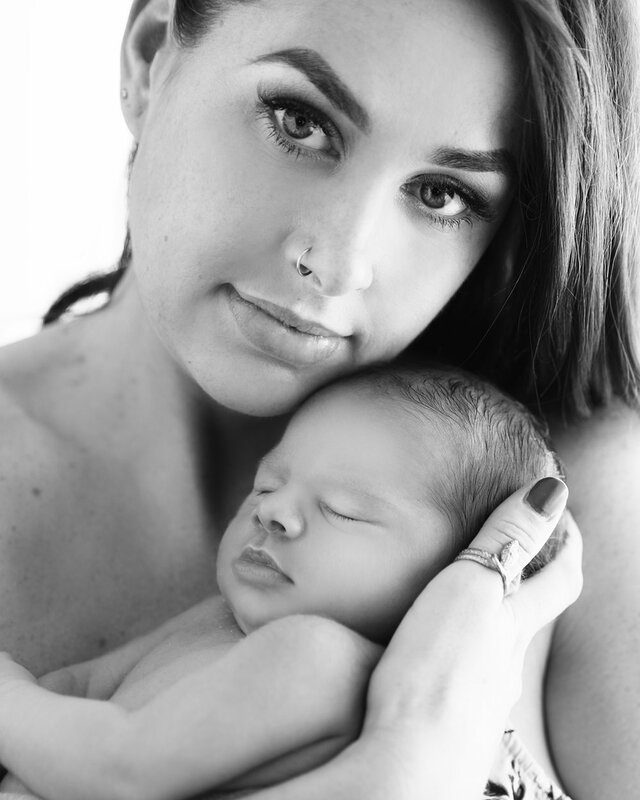 A look into my world of newborn photography. These sessions are done as home visits, just after the baby has arrived home, or if a home birth, when the family feels ready. 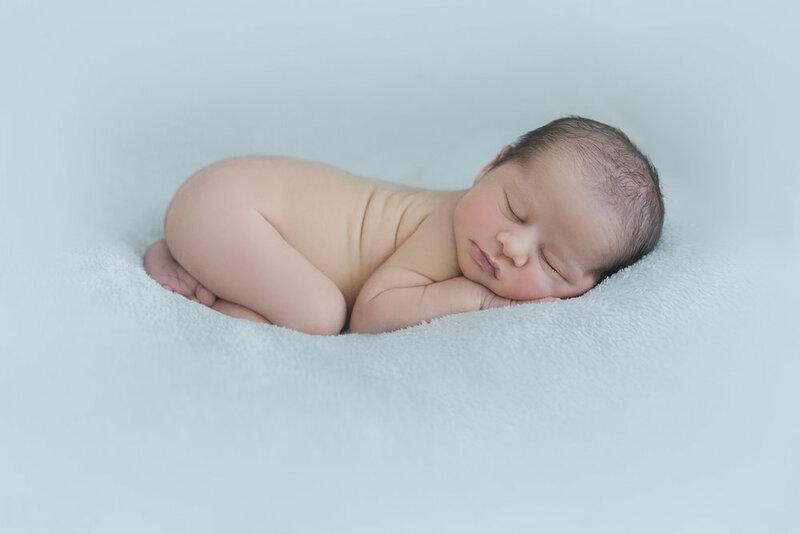 The best time for a newborn session is around day 6, but best before 2 weeks old. The session takes about 3 hours, and I bring all the necessary equipment and props. All that is needed is a few metres of available space either next to good natural light, or a bit more room for me to set up my studio lights. Detailed crop of previous image. 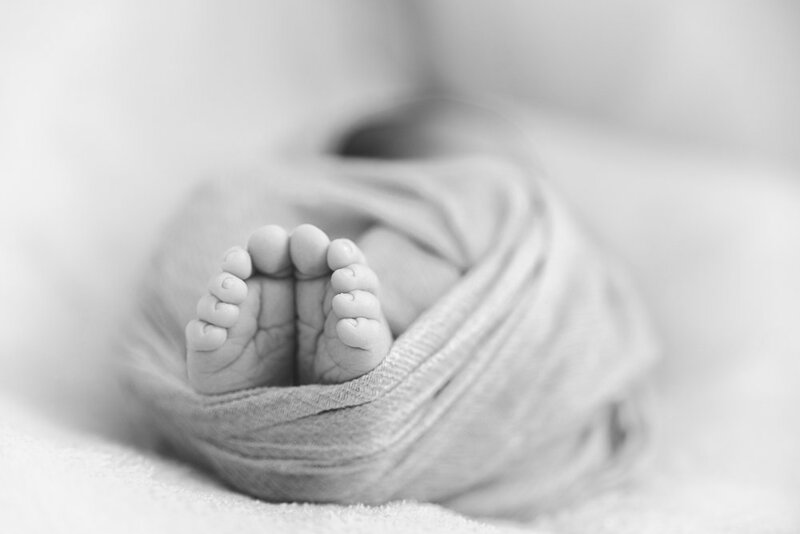 A newborn session is a morning time spent gently moving and positioning your baby into safe and comfortable poses. The gallery of images that I make for my clients home is designed to work together in colour and tone, but especially aimed at capturing the little ones individual cuteness. 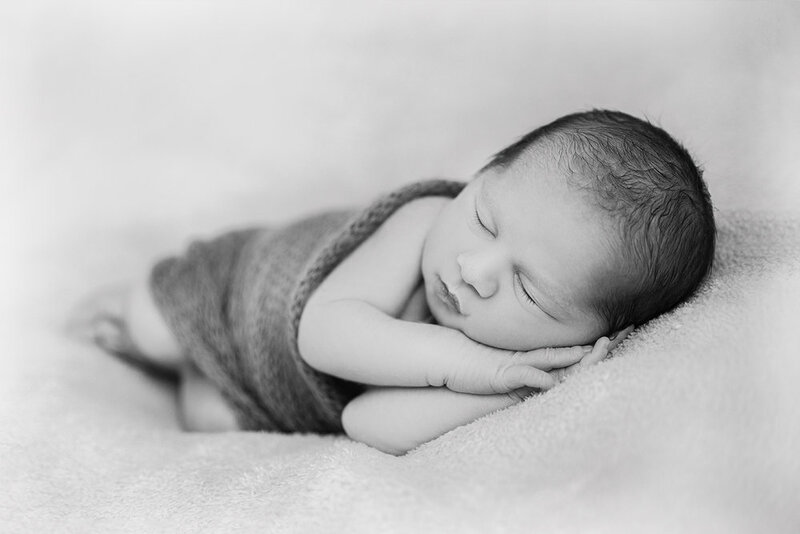 In this session, little baby Jagger slept soundly the whole time, a very relaxed little guy. 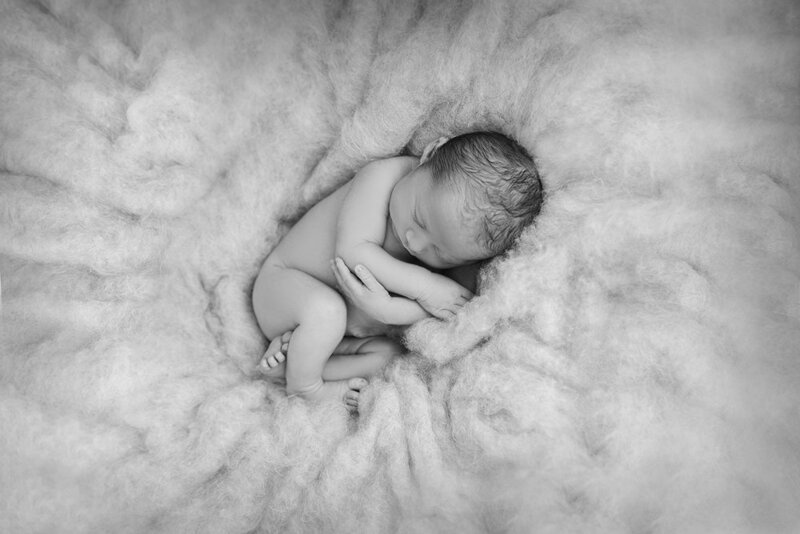 His mum said he was always peaceful in the womb as well, so the personality is there from the earliest moments. I love to use a window light that I softly diffuse, it creates an intimate and timeless portrait of the parents and baby. I take my time to capture and pose the parents and baby, so that each individual is conveying their beauty and personality. I always edit in a flattering but natural manner, creating a stunning image that shows love in the gaze. I love to capture some storytelling in my portraits, creating stunning art works worthy of printing, and keeping in the home for many years. Getting those cute little portraits of the baby in a bonnet frames their features beautifully, and the baby loves being wrapped up on my soft posing beanbag. 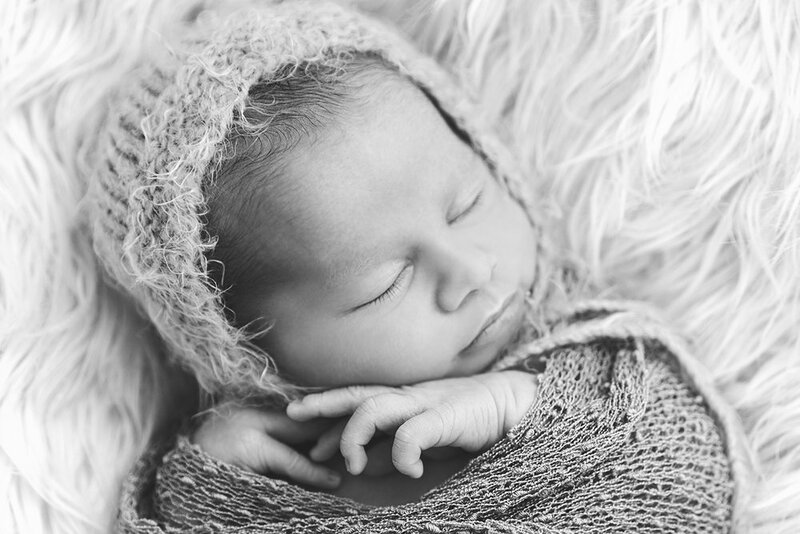 If you are considering using me for your newborn photography session please visit my galleries or review tab on facebook, to see all the happy clients I have had the pleasure of serving, and please contact me with any questions you may have. Its a big decision as to who to use for capturing your images, and Im happy to take the time to talk, to make sure you are comfortable with your choice.